Data management is a vital part of the research process. Learn skills and develop good habits early on to help you effectively manage and maintain the usefulness for your research data. Managing your data makes it easier for you (and other scholars) to share and build upon your research in new studies. Furthermore, shared open data is also now often a requirement for funded research and publication. 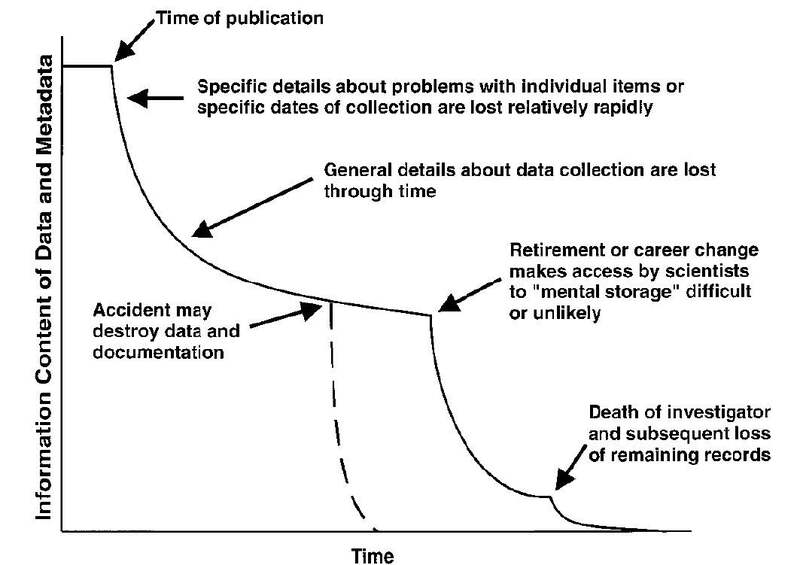 From the time of publication, access to the study's data degrades over time unless proper data management steps are taken. 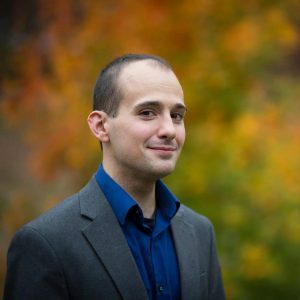 The researcher forgets details, or data is not backed up and lost, or maybe the researcher changes careers or passes away. Graph adapted by Tim Vines, 2016, from Michener et al. (1997) Nongeospa2al metadata for the ecological sciences. Ecol. Appl. 7:330. Thanks to the Lamar Soutter Library, University of Massachusetts Medical School for the New England Collaborative Data Management Curriculum (NECDMC) and to the Data Observation Network for Earth (DataONE) for providing their data management curricula under the Creative Commons license allowing us to re-use it here at PSU. Thanks to Brent Wilson, who drafted this guide.